Fed up with plastic cases to keep your iPad nice and safe? 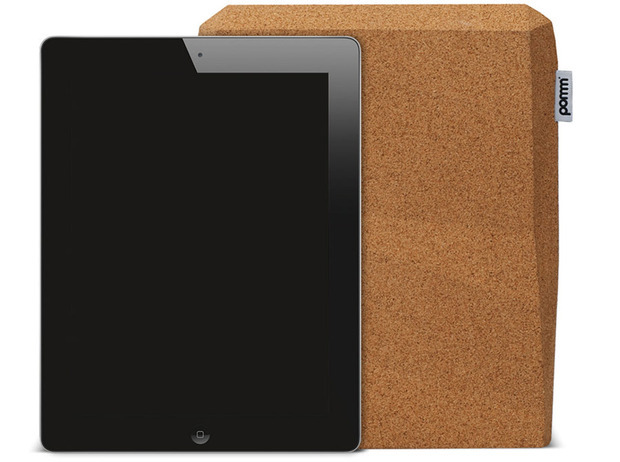 How about Pomm's absurdly priced $75 iPad Cork Case. Don't let the name fool you though, this isn't a case but rather a sleeve made from pure cork. You know, that awesome natural material that's biodegradable and safe for the environment. 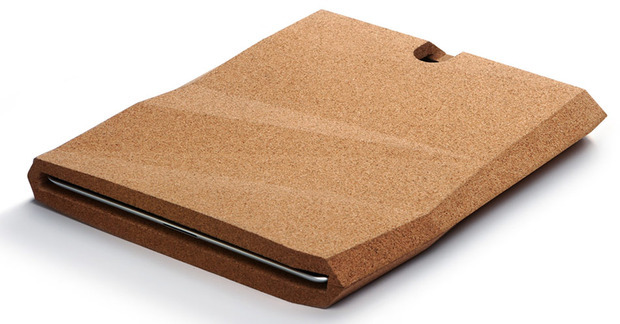 The high density structure of cork makes it naturally a shock-absorbent and water-resistant material that's great for protecting things like the iPad. Pomm's iPad Cork Case features an amazing facet-metric design, and is now ready to pre-order and will ship in November. Do we have any more room or iPad stands? It's getting crowded out there. We've seen jus about every possible stand design made this past year. This iPad stand is a little on the unique side in terms of form and function. 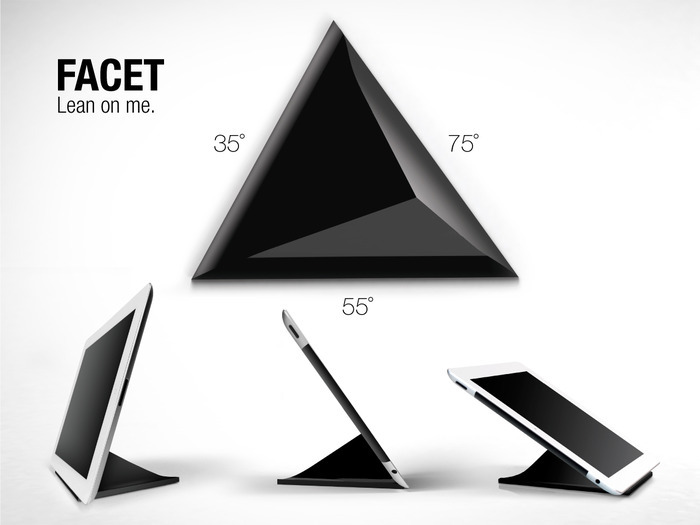 The Facet, is a another Kickstarter product that has an interesting 3-sided pyramid concept style design which is quite versatile. It has three sides, each offers a different slanted angle ranging from 35, 55 and 75 degree angles. While this is definitely not the first stand of its kind to offer multiple viewing angles using opposite sides, the Facet does have some artsy charm. Docking your iPad can only be done horizontally in order to take advantage of the built-in magnets. The Facet's internal magnets and minimal front lip help align and keep the iPad secure while looking extremely slick head on. We've seen the same concept utilized by the Magnus stand, and we can say that it works very well. The Facet's wide base supposedly let's users use it on the bed and on the couch where other stands will fall short. The Facet stand will be made from plastic in black and white, and is currently available to pre-order for $25. See it in action after the jump. Touching the iPad's cold bare aluminum can be unpleasant, and even more so in the winter time. Element Case's velvety smooth Ultrasuede skins are perfect for those who prefer not to use a protective case yet still need scratch protection without compromising added bulk. 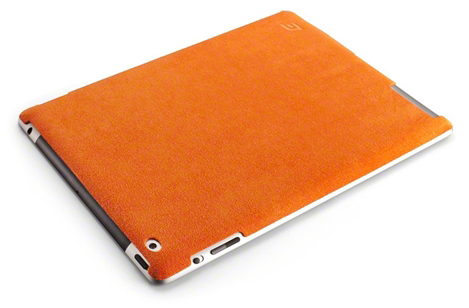 The Ultrasuede iPad Back Plate is now available for the iPad 2 and iPad 3rd Gen and comes in a slew of colors for $30. The company has also released a buttery soft, genuine leather back skin that's available in black and brown for $37. Both skins offer added grip and Smart Cover compatibility and have precise cutouts for the iPad's back facing camera, speaker and buttons. With all the available iPad stands out there, they all tend to feature a similar design. 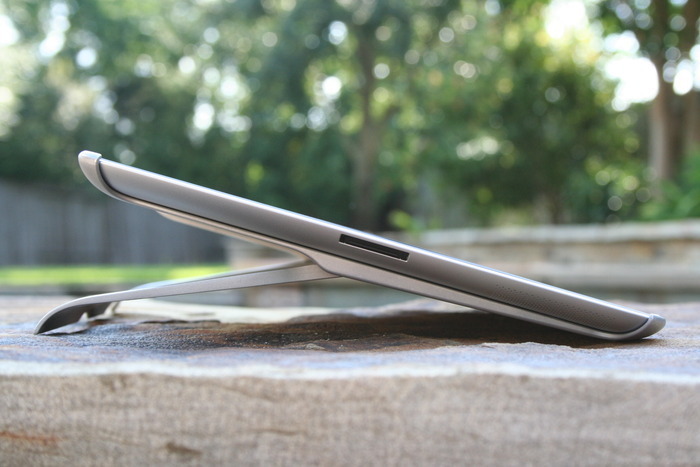 Many of them limit the number of angles you can place your iPad to the "video watching" angle" and the "typing" angle. Any other angles just aren't possible. Obviously, we all have different preferences and ways we use our iPad, so why shouldn't we have an accessory that caters to us? 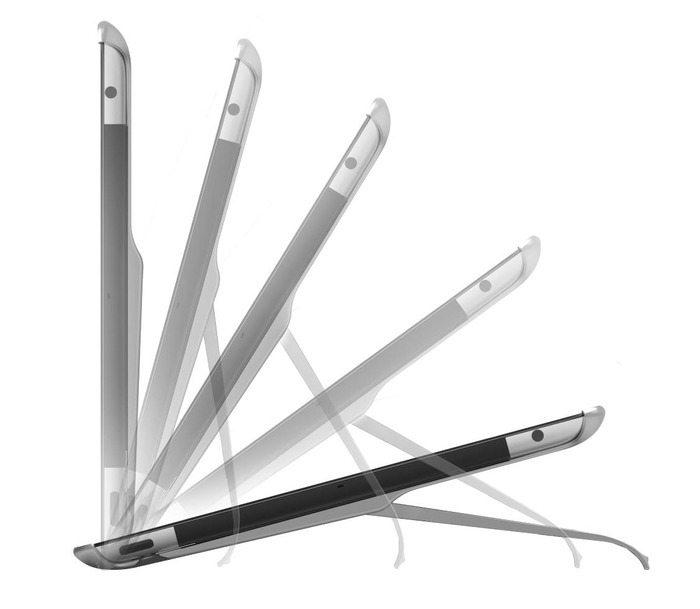 The award winning design team HumanToolz has created something that will rid our iPad woes. The HumanToolz stand does not have any defined angles. Similar to the hinges found on the Macbook Air, this iPad stand will securely stay in whatever angle you set it at, providing the most versatile and comfortable experience. As you would expect from such a highly regarded company, the design of the case joins seamlessly with the new iPad to be both stylish and functional. The HumanToolz stand is compatible with Apple's Smart Cover to provide excellent protection in the front and the corners. HumanToolz is working hard to make this excellent idea a reality on Kickstarter and they're asking for your help. Starting at $65, you can preorder yourself a HumanToolz Mobile Stand and to help them achieve their goal. Meet the Brydge. It's the one and only true keyboard offering that's designed to the Apple-infringement max with an all-aluminum body and a black chiclet style Bluetooth keyboard that transforms your iPad 2 and iPad 3rd generation into a portable MacBook Pad that's as slim as a MacBook Air. There's no doubt that more and more people want to enjoy the full experience of a portable laptop using their iPad. We covered a few different Bluetooth keyboard case solutions for the iPad that have come close to mimicking the form factor of a full fledge iPad keyboard laptop package including the plastic unibody MacBook-like ClamCase and the thin MacBook Air-like Aluminum Keyboard Buddy. The Brydge features a full QWERTY keyboard layout with dedicated iPad hotkeys, optional built-in stereo speakers, a rechargeable battery, reinforced click-in hinge that uses magnets and friction to secure the iPad to the keyboard body and is capable of tilting in 180 degrees. The guys behind the Brydge wanted to create the highest quality keyboard case possible, and that means matching the quality standards of Apple's aluminum gadgets. The Brydge is currently available for pre-order starting at a hefty price tag of $170. And if you'd like the Brydge with stereo speakers built in, you're going to fork out $210. We think the Brydge is going to be a great success. Catch the video after the jump! Looking for a keyboard case that's slim and attractive? Logitech has got you covered, literally! 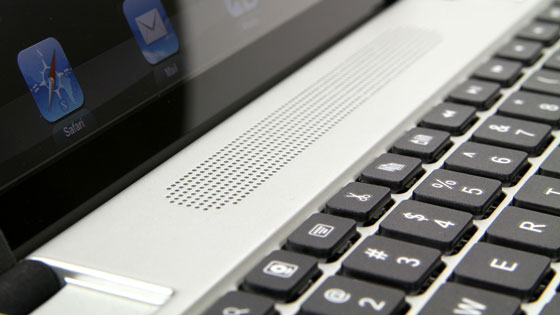 Logitech's latest keyboard offering is called the Ultrathin Keyboard Cover, and only compatible with the iPad 2 and iPad 3rd Gen for a good enough reason. This is one of the more impressive keyboard offerings to come out of Logitech as well as other competing brands alike. The Ultrathin Keyboard Cover works like like a true Smart Cover in that it magnetically clings to the iPad and covers the front screen entirely when stored away for protection is ease of use while retaining the magnetic sleep/wake functionality. It's essentially an aluminum Smart Cover with a built-in, ultra-slim wireless Bluetooth keyboard that features a built-in stand for landscape or portrait viewing angles, function keys and a rechargeable battery that promises to last for 6 months on a single charge. The ultra-sleek Ultrathin Keyboard Cover is made to look and fit the iPad for a seamless match with a contoured aluminum shell, a piano-black finish and matte chiclet style keyboard keys that should feel great to type on knowing Logitech keyboards are one of the best. Logitch's Ultrathin Keyboard Cover is available to pre-order now for $99.99, and ships later this month. See it in action after the jump! Got your new iPad today? Not only can you completely customize the way yours looks like using these GelaSkins, but you'll also be adding a layer of scratch protection. GelaSkins has announced that its artfully designed 3M skins for the new iPad 3rd Gen are now available to pre-order at $29.95. GelaSkins includes a front bezel and back skin with a matching Retina display wallpaper. Shipping starts on March 19. Check out our GelaSkins review for the iPad 2.